It’s the big cover-up: There are tons of celebrities who wear wigs. They’re avid wig wearers because the hairpieces are practical, attractive, and a great way to hide what you don’t want seen. A well chosen topper can hide signs of hair loss. It can give curls to those stuck with straight hair, and vice versa. A good wig can make life so much easier on a celebrity. An actress doesn’t have to worry about roots showing or a bad hair day. Guys can look perpetually young to adoring fans by wearing a wig in public. Just plop the wig on, and they’re ready for action! And, of course, actors and actresses rely on them to bring out their character in movies and television shows. 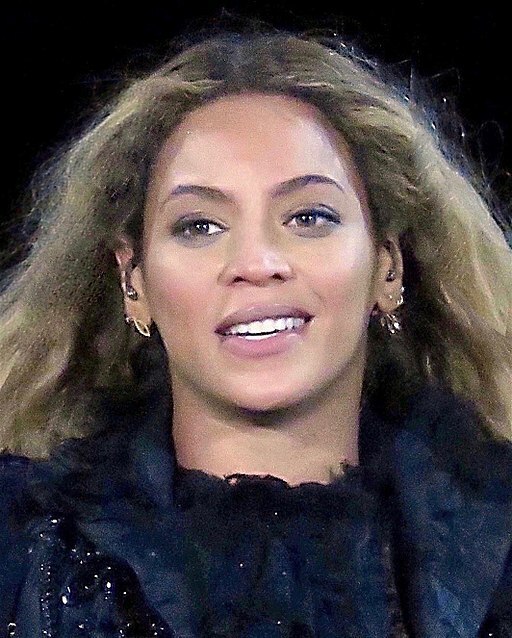 Beyonce Knowles has naturally thick hair, according to Hollywood insiders. But she has curly Afro hair naturally and tends to prefer a straighter look on herself. Beyonce is always transforming her look, and she loves to have long, sleek tresses that always look amazing. She is able to achieve this look through the use of wigs. She utilizes the technology of lace-in-front wigs to make hers look more natural and authentic, especially along the hairline. Her high level of physical activity and dancing during performances requires a high level of maintenance, which she can maintain through the use of wigs. With wigs, her hair always looks on point, shiny, cared for, and amazing, just like the stunning performer and music artist that she is. In 2013 she showed off her real hair on Instagram—short, blonde and very flattering. Beyonce knows how to utilize very high quality wigs to attain and maintain the image she strives for. The usual reason male actors choose wigs is to hide male-pattern baldness. Audiences seem to love their guys with hair, except when they’re totally bald on purpose. Robert Pattinson, the English multi-talented actor, model, musician, and producer, has been fighting a war with thinning hair since his early 20’s. After a few mentions of receding hair on celeb sites, fans started noticing thicker, fuller hair in photos and in his movies. Robert had started relying on the use of wigs! His character in Twilight attends high school, so it makes sense to cover up the spots that were thinning. The wig was also needed when he did reshoots for Breaking Dawn after he’d already had his head shaved for a different role. Like most wig wearers, he probably began to like this enhanced look on himself and decided to wear the wig out in public too. Throughout her career, Lady Gaga has worn wigs in public and in performances most of the time. She told an audience in England that she used “wigs and makeup to cover up the pain,” during tough times in her life and career. She’s a brunette, with healthy looking, tousled locks. She displayed it to fans, telling them, “Here I am, the human underneath the wigs.” You can check out the transformation here. While it may not be surprising that Lady Gaga is one of the celebrities who wear wigs, we bet she’d find life a bore if she had to give up her splendid bright yellow, gray/green/teal, peroxide blonde, orange and pink numbers. Gwen Stefani wears blonde wigs to cover up her light blonde hair. Both sets of hair look a lot alike. It seems she uses the wig for convenience, and to cover up her roots. John Travolta is 62 now. He’s earned his male pattern baldness. But that doesn’t mean he has to publicize it. Most photos, both casual and for publicity, show him with his wig. But there are a few of them showing him without a wig, usually shot by paparazzi. This one he took himself, with a friend at the gym. He tends to be casual with his wigs, not worrying too much about matching the hairline. He seems comfortable with himself, with and without his wigs. It’s not only celebrities who wear wigs that can benefit from their new look. Whether you want to change up your look, want a more low maintenance hair routine, or wish that you had a fuller head of hair, wigs can help enhance your image in many ways! Come to the experts at Wigs Unlimited and allow us to help you find exactly what you are looking for. We not only know how to fit your wig, but to make it look it’s most natural so no one will know but you. 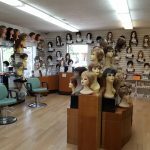 Contact us today at Wigs Unlimited to take a look at our huge assortment of lines and type of wigs, and to take a look at our broad selection of ways to enhance your image.